We welcome big rigs to sleeping bags. 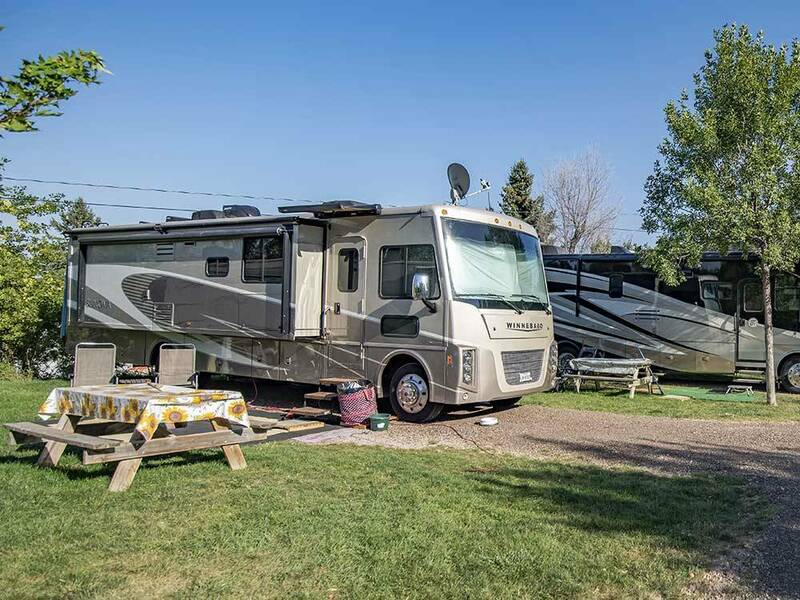 We are a full service campground with all amenities including 3 bath houses, 2 laundry rooms, 3 heated pools, a pet farm and tour planning. See you soon! Stayed for a week on the way out and two days on the way back from our great adventure. Pull thru sites were gravel with trees & grass separating sites. Both sites were clean, level and roomy. We noted some sites are not level front to back but did not appear to pose a problem for campers. 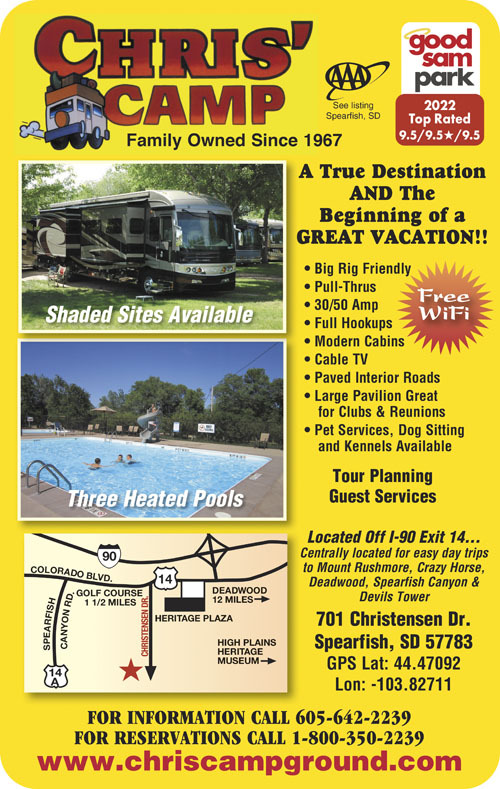 Clean rest rooms and laundry, well maintained pool and grass and great view made for a great stay. Large field next to campground to exercise dogs was a huge bonus. The best feature was the staff. They went out of their way to make us feel comfortable and welcome! 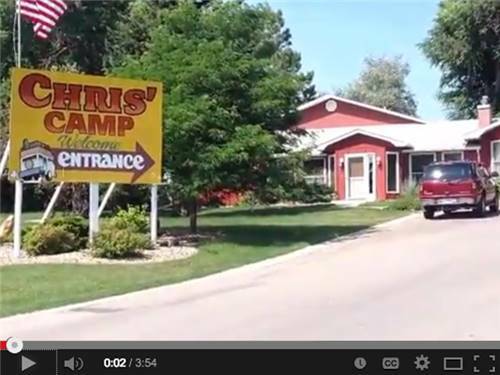 Chris' Camp is our kind of a campground; park-like and roomy. We didn't use any of the facilities and only went to the office. The people who run it are very nice, and the view is just wonderful. We stayed three nights and loved the camp. No CCs but they took our check, no problem. Very friendly, on check in they took us around and let us pick out our site. Grass and shade in abundance. Restrooms were a little dated but clean and well kept. Pay showers but didn't feel short changed with the length of showers. Owners gave us ideas for touring the area and places to see. Loved staying here and look forward to next visit. This is a spot to stay. We have stayed here numerous times and have come to really enjoy each one. Pull through is easy acess and hook ups are right where they need to be. Pet friendly as usual and our four-legged pooch seems to enjoy walks around the large park. Affordability is a must for us, and they have it. Even off season this is a good spot to just stop in and get some rest. Try it once, I bet you will go back. This is a very nice campground close to a lot of good stuff. The people were super helpful. I did not use the showers but the restrooms were clean and the pools nice. I stayed in the rv sites in the trees and getting level wasn't a big problem. My cable tv did not work but the wifi was very good. They tried to get the cable working and if I was staying longer, I would have pressed them about it. A lot of campgrounds don't take credit cards so no biggie. They took my personal check. I would definitely go back! The camp ground is on a hill. Most of the sites are gravel and not very level. They do not take credit cards and if you want to use their showers you have to pay to use even after you pay $40.00 a night to stay. Over all it was a nice campground.